ForPune.com is a website where you can ask any question about Pune (it does not have to be a technical question) and get good quality answers from other Punekars quickly. It is another for-the-community, by-the-community initiative from PuneTech. Please use it – the more people use it, the more useful it becomes. Just to give you an idea of the various different ways in which this site can be useful, we’ve listed some of the interesting questions here. Looking for recommendations for good doctors? Check out the questions tagged health. Good neurologist, good doctor for back pains, good dentist in Aundh – it’s all there. Looking for recommendations for good restaurants? Check out the questions in the restaurants section. Sometimes the question and answer can surprise you. A great favorite of mine is the list of “Nice Quiet Restaurants for a Romantic Evening”. There are 14 answers, and I’m sure you’ll find some there that you were not aware of. This is a great way for collecting together lists and other information on a topic. For example, see the List of VLSI/embedded/EDA/semiconductor companies in Pune is now the second result for ‘vlsi companies in Pune’, and unlike the first hit, this one is being updated on a regular basis. ForPune can also be used to gather detailed perspectives on complex question from a variety of people. For example, What makes Pune different from other cities from an IT/Startups perspective has some really interesting and well-thought-out-answers. Have you wondered how to reach out to engineering students, find the most motivated ones and work with them on interesting projects? Wonder no more – lots of great thoughts, suggestions are on ForPune. Check out the Things to do in and around Pune for another great question. Basically, you have access to a bunch of smart, interesting, knowledgeable Punekars from different fields, and you can get them to answer your questions, your doubts, and your philosophical issues. Moderation: volunteers from the community keep patrolling the site to get rid of spammers and idiots. So you will not (usually) find the site over-run by idiotic irrelevant posts. For example user meetu earned the Notable Question Badge because her question about real estate prices in Lavasa has more than 3000 views. Users nik, Abhinav, Subhojit Roy and ravi karandeekar have earned the “Enthusiast” badge for visiting the site every day without fail for at least 30 days. 16 Users have a “Popular Question” badge, for having asked questions with more than a 1000 views. The points system: All users of the site get points for various activities. There are points for asking questions, for giving answers, for voting, for correcting inaccurate tags, for asking good questions, for giving good answers etc. Members earn various badges. Basically, the points and badge system ensures increases the motivation of the users to “work” on the site, and gives visibility to people with specific expertise. Why not Quora? Why not Facebook Questions? Quora/Facebook Questions are good alternatives, but the simple reason why ForPune was not built on those was that ForPune has been around for almost an year now – before Facebook questions and Quora were launched. Quora is still rather tech-heavy (and generally heavy). It has serious people with serious questions, and startups and tech trends. This scares away most of the regular people. Facebook questions doesn’t really seem to be taking off (at least not that I can see). ForPune will soon run on open source software, and we have hopes that the tech community in Pune will use that as a base to extend it and create a whole bunch of apps/hacks/other services. ForPune is based on the StackExchange software – the same software that runs the popular StackOverflow site for programming questions & answers. In the next few months, ForPune will shift over to using OSQA the open source clone of StackExchange. (It’s written in python+django, Yippie!) At that time, we’ll also shift it to our own servers – probably on slicehost or webfaction. Well, although it was started by us – the people behind PuneTech, but it is now really run by the users. See the list of ForPune users. More points indicate people who’ve spent more time on the site. People with diamonds against their name are moderators. Use the site. Ask questions, answer questions, vote for good answers and questions. Tell your friends about ForPune.com. Due to the network effect, the utility of the site quadruples if the number of users doubles. (And if the number goes up by 10x the utility increases by 100x). Especially if you have friends in media. Ask them to write articles about ForPune. And follow @forpuneq and forpune on twitter. There’s a new jobs listing forum in town, and it contains postings of jobs that you will not find anywhere else. 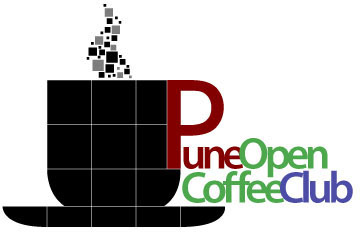 Check out the PuneStartupJobs mailing list (which is an initiative of the Pune Open Coffee Club). POCC is an informal group of the Pune Startup ecosystem. It contains more than 2500+ people who either have their own startups, or want to start one, or provide some service (or funding) to startups. Click on the logo to find all punetech articles about the POCC. Thanks to threenovember.com for the POCC logo. The Pune Open Coffee Club is an informal group for all those interested in the Pune startup ecosystem, and many of the startups on that group realized that the conventional avenues for job postings were either too ineffective, or too expensive for the smaller startups. To counter this problem, the PuneStartupJobs mailing list was started. In keeping with the philosophy behind the POCC, the PuneStartupJobs mailing list is also free – any POCC member can post job postings, and anybody can subscribe to receive updates. Moderated: All posts are moderated, so no spam. Techstart.in is a group that aims to create special interest technology clubs of students, with each club mentored by one or more people from from industry who have experience in that area, and are willing to spend time with the students to guide them. The club will have loosely structured activites, projects to complete, possibly presentations and discussions, all planned and guided by the mentors. The club was started by Freeman Murray and has since been joined by a number of mentors – but there is no such thing as too many mentors. So, you should seriously consider signing up. The only qualifications you need are that you should be passionate about this, and you should have a little industry experience. The basic idea is to find people with practical industry experience willing to spend some time each month creating or identifying useful exercises people interested in their field could do to develop their skills and posting them on a blog or mailing list. 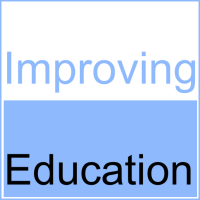 Additionally they spend time each week facilitating a discussion of the participants on a mailing list. The intention is not to compete with existing online resources for technical training and support, but to provide some more human support and mentorship for people on the path. Mentors can and should encourage participants to engage in the existing online communities surrounding their technologies. Their guidance as to what communities to engage, and how to engage could still be invaluable. In this way, over time people can develop significant skills in fields where they don’t have formal training while they continue their studies or working full time. We all crib about the quality of technical education, but with the Internet we have the opportunity to do something about it. We can help eager young and the motivated who want to get into high-tech but are over whelmed at the amount of information available on the internet, or get blocked because of elementary problems. It shouldn’t take much time, for mentors just a couple hours a month to research the monthly activities and post links to learning resources participants should look into, and then a couple hours each week responding to questions and facilitating discussion on the mailing list. For participants, activities should take 5 – 10 hours of effort each month, plus some additional time sharing with the community thru the blog and the mailing lists. If there’s a field you are passionate about and feel more people should get into, please think about setting up a small club for it on the techstart wiki. If you see a club where people are exploring a technology you’ve been curious, by all means join the community. The initial clubs we have are in blogging, advanced java and open source technology. Amit is also mentoring a group to write some automatic deployment scripts in php. To participate in one of the techstart clubs simply visit the clubs website, or join the their mailing list. Make sure to introduce yourself to the community when you join, and read over any introductory material the mentor put up on the website or in the group. Start your own club or make yourself available for mentoring people on a project – simply create a mailing list for it on Google Groups or any other public mailing list site, and add a description of it and yourself to this wiki. At least every month post exercises to the list which participants can do to strengthen their skills, and spend some time every week monitoring the list, encouraging discussion, and helping people with problems. That’s it ! This track is for people interested in writing on the internet. All participants will set up and customize their blog initially, and then every two weeks participants are encouraged to share their next post with the group. The group will give feedback on the writers style, grammer and ideas. Members are additionally encouraged to comment on eachother’s blogs and do cross linking. Occasionally exersizes relating to google analytics and SEO will be given to the club members. Twitter, Videoblogging , Google Analytics, SEO, RSS and feedreaders will also be discussed in time. This learning track is for developers who have completed at least one course in Core Java (or are familiar with basic principles of Java, like syntax, compiling, and running Java programs) and would like to improve their understanding of the Java language and ecosystem. This is a track for technologists who want to build upon their understanding of the free and open ecosystem being provided by the Open Source and relatively open and portable datasets. Do you dig a well everytime you want to drink water, then why do you insist on hacking a new solution when another more efficient solution already exists as Open Source. Leverage what already exists in the ecosystem instead of re-inventing the wheel. Ami of this project is to automate the process of deploying websites written in PHP. A very basic script exists at my blog, we will be enhancing it by putting continuous integration, database migration etc. Tarun Dua E2ENetworks Efficient technology operations is the key to effective delivery of technology where it matters most. Community Powered Websites (CPWs) are a rage today. And there are good reasons for that. First, you only build a website and the content (which is the primary value to these sites) comes from people. These people don’t charge you anything, in fact, you can make some money by running ads to these very people. Secondly, the people who bring in the content also become the users of the website. Which means, people bring the content, people consume the content, and you just provide a framework for doing that using a website. Great! Two primary factors contributing to the success of a Community Powered Website (CPW) are its tendency to grow and its immunity to abuse. This is, of course, in addition to the functional value that this website has. Growth for a CPW means, more data, more contributors and more users. Simple. And immunity to abuse means when bad people come to your site to do bad things, your site can shrug off these attacks and get on with life. For Wikipedia, a bad thing is someone putting spam on a page. For twitter, a bad thing is someone hacking the system and making thousands of people follow him/her. In this article, I have put down some of my thoughts on how we can make a CPW “tending to grow”. I do not claim expertise in this area. Nor do I claim to be exhaustive. I am just trying to make sense out of the way web is evolving today and community power is a very interesting phenomenon in that. For any CPW, we anyway have to do things which people find valuable/useful and for which they would want to use the website in the first place. For instance, facebook, delicious, twitter, wikipedia have some fundamental value for which people would like to use them. On top of that functional value, there is a social design which makes them “tending to grow”. A simple example is Blogger. It has some functional value (i.e. a blogging platform) for which people use it. But as long as the game is purely functionality based, people will choose Blogger only if its functionality is the best. Tomorrow, if a new blogging platform with better functionality comes along, new blogs may use that platform. That’s the reason blogger team is adding some social touch so that more and more people “choose” blogger if their contacts are already on blogger. So, this is the “tendency to grow”. It is outside the purview of functionality. And it’s becoming more and more important because it’s becoming very easy for anyone to match a given set of functionality. In short, network effect is when a service becomes more and more valuable when more and more people use it which thereby increases its adoption and hence the value. This creates a self sustaining loop. The loop doesn’t go infinite as eventually there is a max limit to the final value. But it can certainly take us very far. The general purpose social networking sites are the best examples of network effect. More the users we have, more the chances of getting more users. That’s why they have grown phenomenally in a short time span. Delicious doesn’t trigger the network effect even though it is social. There is no reason for me to join delicious even if all my friends are using it. On the other hand, I would naturally join LinkedIn because all my “connections” are using LinkedIn. Blogger, by being more social, is trying to bring in the network effect. How to bring in the network effect is a subject worth another complete article or may be a book. Suffice it to say that a network effect has to be designed for in any CPW. Once we have modeled our website, we can test that model (mentally of course) for what kind of network effect this model can produce. If we are building a CPW but don’t design it for network effect, we are limiting the mileage we can get out of it. It’s difficult to have a general purpose definition of what contribution is as it depends on the website. For flickr, photographs are contributions, for facebook, pretty much everything a user does on the site is a contribution. Even visiting someone’s profile on facebook is a contribution to facebook as the very fact that you visited that profile is shown on that profile. Intentional contribution. Wikipedia is a place where people specifically contribute with the intention of making the system richer. It’s not like sharing something with friends or saving something for future reference. There is an explicitness here. Needless to say, it’s easier to get people on board when their contribution is unintentional i.e. they are doing their own thing and the system just gets richer. This lends a greater tendency to grow to the CPW. I am sure there would be several other aspects of making a CPW tending to grow which escaped my limited knowledge and the retarded mind. Will some people with experience in this area throw a little bit of light here? About the author: Manas is interested in a variety of things like psychology, philosophy, sociology, photography, movie making etc. But since there are only 24 hours in a day and most of it goes in sleeping and earning a living, he amuses himself by writing software, reading a bit and sharing his thoughts. There is no single comprehensive source of information for all the events in Pune that are of interest to the Technology community. The PuneTech events page only carries information about events coming up soon. IT Vidya has an Events page but that is for events all over the country, and is also not comprehensive enough. Also, both of these are more like blogs than an events calendar, and are missing many features that a calendar should have. On the suggestion of Freeman Murray, we have started using upcoming.org as an events calendar for tech events in Pune. The Pune Tech Events Group on Upcoming will track all the tech events in Pune. This is a free, non-commercial, community driven initiative. Anybody can join the group. Anybody can add events. Anybody can subscribe to get updates. Just go to the group page on upcoming, and click on “join this group”. Complete the procedure for adding the event. This will result in a page getting created for this event. You’ll be taken to that page. Or, simply send an email with the relevant details (date, time, place, description) to punetech and we’ll add it for you. If you are organizing a tech event in Pune, please consider taking some time out to add the event to this calendar for the benefit of the community. 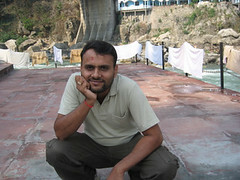 MyJobsInPune.com launched last September and is already considered a major success. Within seven months of going live, myjobsinpune.com has emerged as the leading website in Pune, as regards jobseeker traffic emanating from Pune. The site is attracting more than 5,000 visitors daily with 10000 new jobseekers registering every month. It has on average 3,000 clients advertising 4,000 jobs monthly from entry-level to mid-management level for leading players in IT/ITES, manufacturing, automobile, retail and BFSI sectors. Pune is a fascinating city with great economic potential. It has attracted numerous Fortune 500 enterprises as well as many top-tier professionals who aspire to develop their careers in Pune. It is for these reasons that Pune was selected as the first city for Saongroup to launch in and we plan to invest up to €10m in the initial phase of expansion across India from our HQ in Pune. We strongly believe that India presents a huge opportunity for sustained growth in different sectors and a rapid growth in online recruitment. I just checked out MyJobsInPune’s home page and noticed that everyone from B.U. Bhandari Auto, to Goel Ganga Group have put up ads there. So it seems to have managed to rope in a quite eclectic mix of customers. On the other hand, I did not find ads from major software companies like Symantec, or Persistent, or even Infosys listed. In any case, it is heartening to note that there are 1000s of web-savvy employers in Pune.